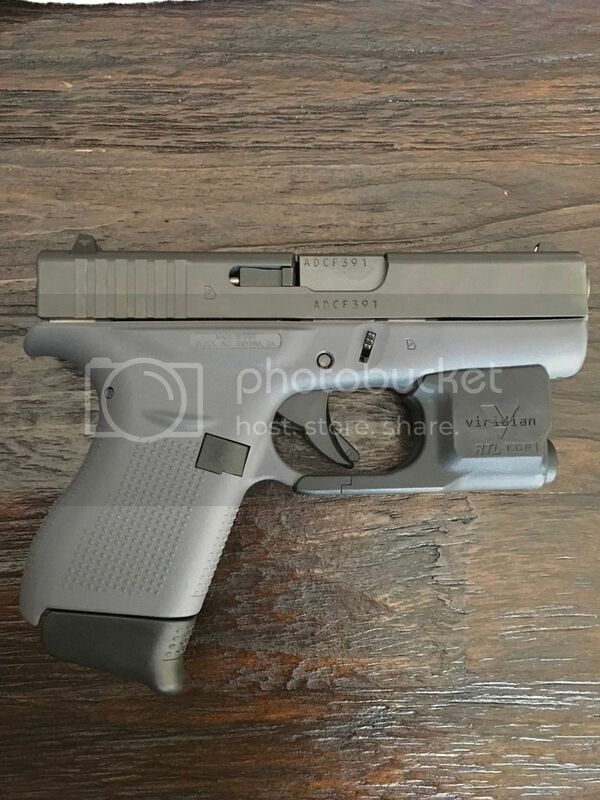 Glock 42 with low round count, shoots great no issues at all. Just upgraded to a sig P365 so this will no longer get carried. 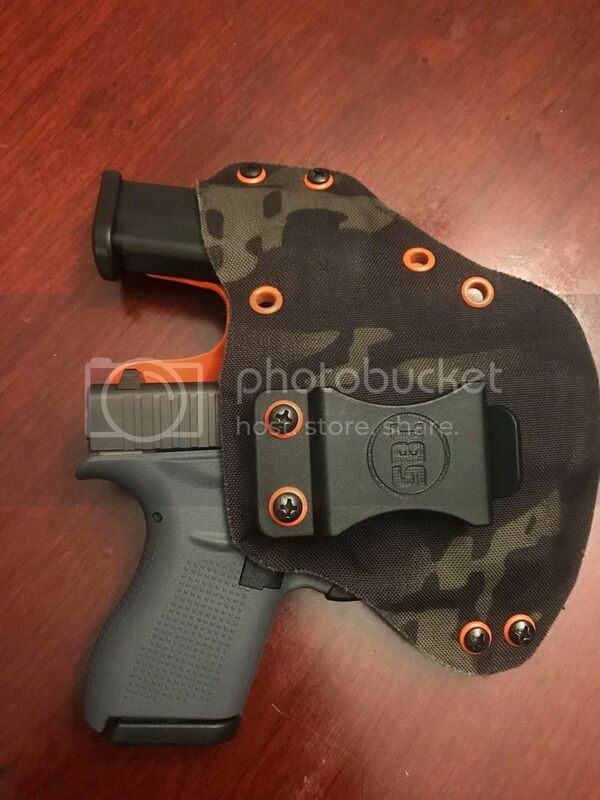 Comes with a Viridian light and custom holster that holds the glock 42 and one mag. 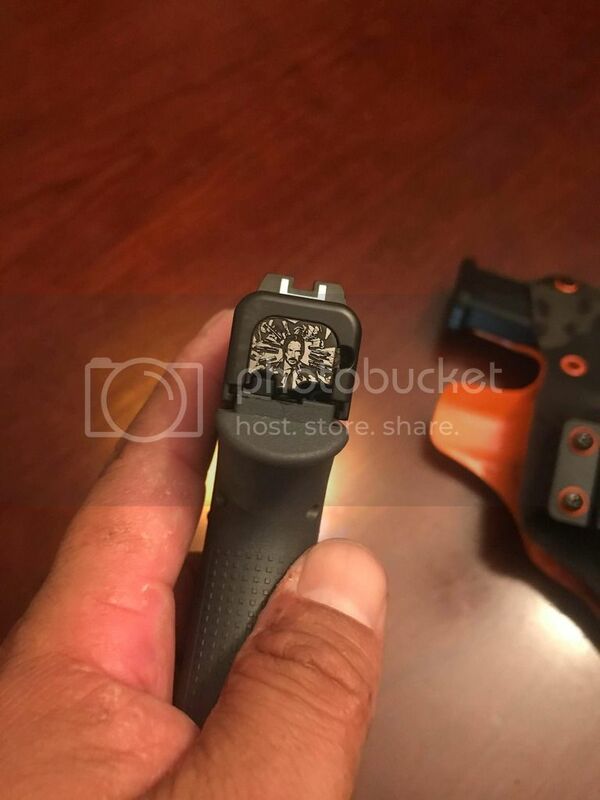 The holster was made for the light so that the light turn on when unholstered and turns off when holstered. Slide backing plate is also custom with John wick logo. Comes with 3 mags one has a plus 1 Pearce basepad making it a 7 rd mag, one 6 rd mag, and an ets extended 12 rd mag.